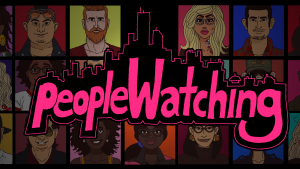 The winner of the 2017 rockie award for Best Digital Fiction Series, peopleWatching, is coming back for a second season. Join our team and help us create an even bigger and better season 2! We’re looking for illustrators with a strong sense of character design who can reproduce the visual style of the show.. Please apply to peoplewatchingproduction@gmail.com with your demo reels or links to your work and resumes. This entry was posted on Tuesday, September 12th, 2017 at 1:47 pm	and is filed under Jobs. You can follow any responses to this entry through the RSS 2.0 feed.